Green beans, string beans, wax beans, and snap beans are all, essentially, the same thing. Little differences, mainly in color and shape, separate one type from another. All of these green beans are, more or less, interchangeable in recipes. Bigger beans like Romanos will take longer to cook than skinnier beans like Haricots Verts and will have a bit more texture and chew to them. As long as you go into things with those facts in mind, though, feel free to mix around those beans! Green beans, string beans, and snap beans are long and rounded and green. 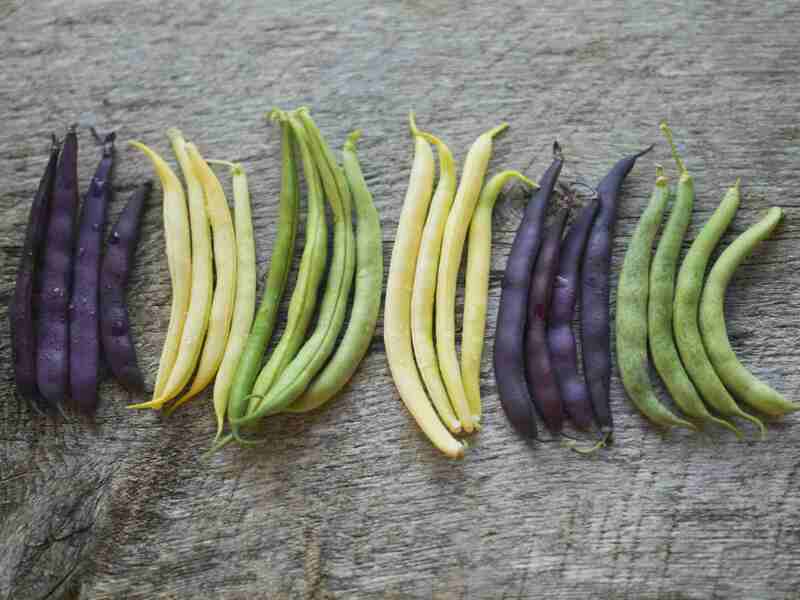 Yellow versions are known as wax beans and purple varieties are also to be had. Heirloom varieties may still have a fibrous "string" running down their sides, but most varieties for sale today have had that inconvenience bred out of them. Steamed green beans are delicious with just a pat of butter and a sprinkle of salt. These beans are also tasty when turned into pickles. These delicate green beans are very thin. They are usually green, but yellow varieties are out there, too. Many people consider them the best of the green beans, and they're priced accordingly. I particularly like to blanch them quickly and use them in salads. Sometimes called yard-long beans, these beans are, in fact, a completely different family of plant from green beans. Apart from their extraordinary length, however, they are similar in flavor and look to green beans and can be cooked in the same ways. Look for long beans between 12 and 18 inches long for the best flavor and tender texture (longer versions can get tough). Purple string beans are simply purple version of classic green beans or wax beans. They loose their purple color when cooked, so consider them for raw recipes or lightly steam them and dip them into ice water to preserve as much of their color as possible. Romano beans are flat and wide and flavorful. Smaller ones tend to be more tender. Large ones will have more developed beans inside. Romanos require a bit more cooking than other pole beans, but they also have more flavor. Try braising them to bring out their nutty sweet essence. Wax beans looks just like green beans, except they're yellow. That's pretty much the only difference, so go ahead and use them as you'd use any green bean—just know that the color of the final dish will, obviously, be different.